Usually I don't post too much about the Games on Demand, but here is a good one to check out. In the U.S, you can download Dead Space for $20, which is a nice deal for a awesome game that goes well with Halloween this Weekend. It's pretty action packed and a little scary, especially when you crank up the sound. So if you have the space and points, this is a Games on Demand Game that is worth checking out! "When an immense mining ship, the USG Ishimura, comes into contact with a mysterious alien artifact in a remote star system, its communications with Earth are mysteriously cut off. 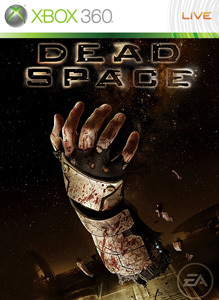 Engineer Isaac Clarke is sent to repair the Ishimura's communications array, but he arrives to find a living nightmare-the ship is a floating bloodbath, the crew unspeakably mutilated and infected by an ancient alien scourge. Clarke's repair mission becomes one of survival as he fights not just to save himself, but to return the artifact to the planet ... at any cost."